Shopping around for new office equipment is a time consuming process. Especially for small office and home office users, where every minute spent browsing printer specs and comparing prices is time away from running the business itself. 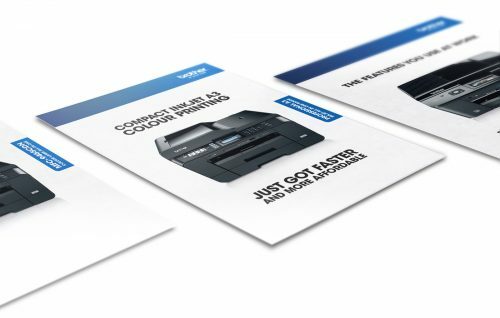 For Brother’s new inkjet all in one range, we set out to make it as quick and easy as possible for customers to find what they needed via a suite of literature that delivered technical information at a glance. Using infographics and icons, we were able to clearly signpost the most relevant features and benefits, standardising the visual language so readers were able to go from piece to piece knowing exactly where to find the right information. As well as making the selection process much more straightforward in print, this technique was also used in a series of product videos that were posted on Brother’s website and used in social media activity for the launch.